Agape love is basically having unconditional love for all people. God loves us with agape love as He sacrificed Himself as Jesus for our sins. He also had to watch His Son suffer and die. Agape love is the best way to describe God since God is love (1 John 4:8). But do Christians show agape love to others, especially their children? In my experience, they often do not. They insist on condemning others and punishing their children. Don’t get me wrong, I am far from perfect. I struggle at times to love people how God wants me to do so. I get hurt, offended, and judgemental. Thankfully, God lovingly corrects me when I mess up. He loves me with agape love. Sadly, most devotionals for children teach that they must be punished for their sins. So do the child-rearing books by popular “Christian child-rearing experts” such as James Dobson, Michael Pearl, Ted Tripp, and Roy Lessin. 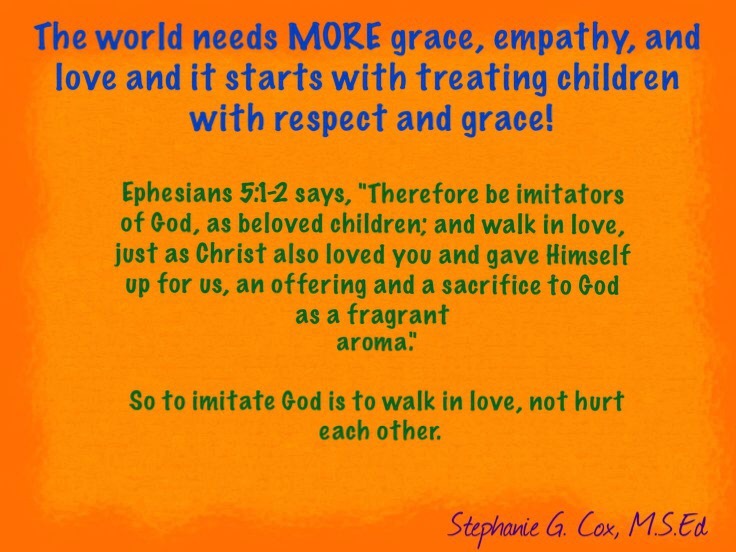 How is this teaching children about agape love that God has for them? Jesus took the punishment for all of our sins, including children! “Therefore be imitators of God, as beloved children” (Ephesians 5:1, NASB). This means getting up at 2am to care for the baby instead of letting him/her cry-it-out. This means redirecting our toddlers for the 20th time away from something we don’t want them to play with and telling them what they can do rather than yelling at them and/or smacking their hand because they won’t listen and we’re sick of redirecting them. This means sitting on the floor while our young children have a meltdown over a limit we’ve set and validating their feelings over the limit that they don’t like. Finally, parenting with agape love means taking the time to truly listen to our children so that they will want to come to us when they are in trouble. Yes, we will make mistakes, but when we do, agape love allows us to be humble and apologize to our children. 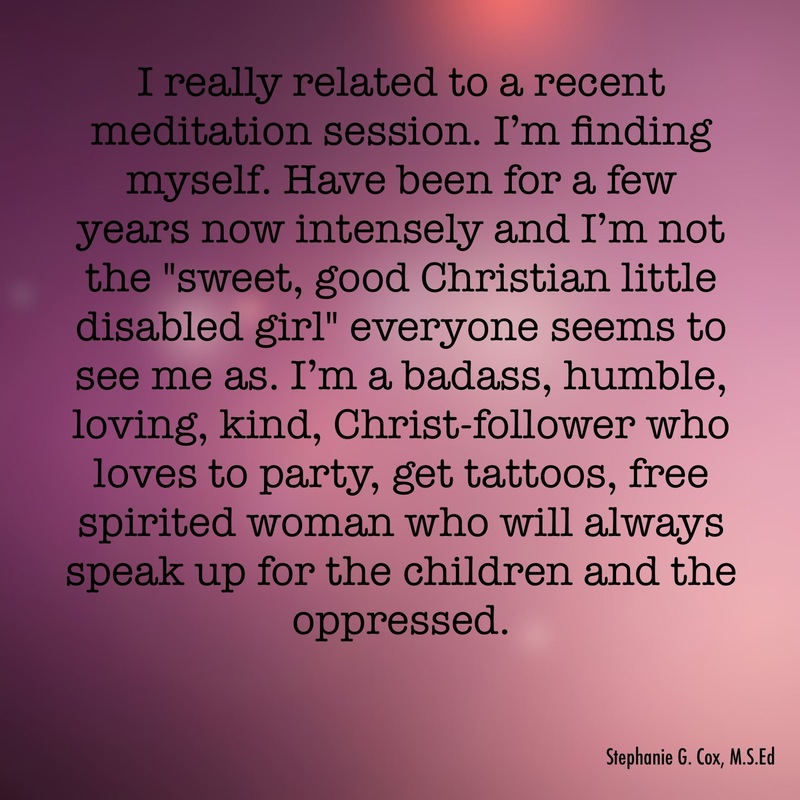 I am well aware that some Christians will read this and say, “Spanking is a part of what the Bible says about loving our children.” If this is you, please read these posts. And check out this book by theologian Samuel Martin. It’s free! 1 Corinthians 13:4-7 describes exactly what agape love is. “Love is patient and kind; love does not envy or boast; it is not arrogant or rude. It does not insist on its own way; it is not irritable or resentful; it does not rejoice at wrongdoing, but rejoices with the truth. Love bears all things, believes all things, hopes all things, endures all things” (ESV). There is nothing in the above verse that say spanking/hitting, using cry-it-out, or using other harsh punishment is a part of agape love. If anything, it points to gentle firmness as agape love. It may not always be easy but by parenting with agape love, we can show children God’s true character and teach them how to love others unconditionally. Cry-It-Out: What Is It? Why Is It Harmful? Cry-it-out means to leave an infant to cry alone without any type of response from us in order to sleep train. Allowing infants to protest while we quickly do something that takes us away from them does not constitute cry-it-out especially if we communicate with them about what we must do. Our aim is not always to stop or prevent crying. Our aim is to validate them, support them, and be responsive to their needs. Since crying is an infants only way of communication, leaving them in a dark room to cry releases huge amounts of stress hormones to their brains. Sure, they eventually stop and sleep when left to cry-it-out, but it’s not the healthy sleep people believe it is. Rather, their brains are literally shutting down from stress due to crying so hard. Then the learned helplessness sets in. 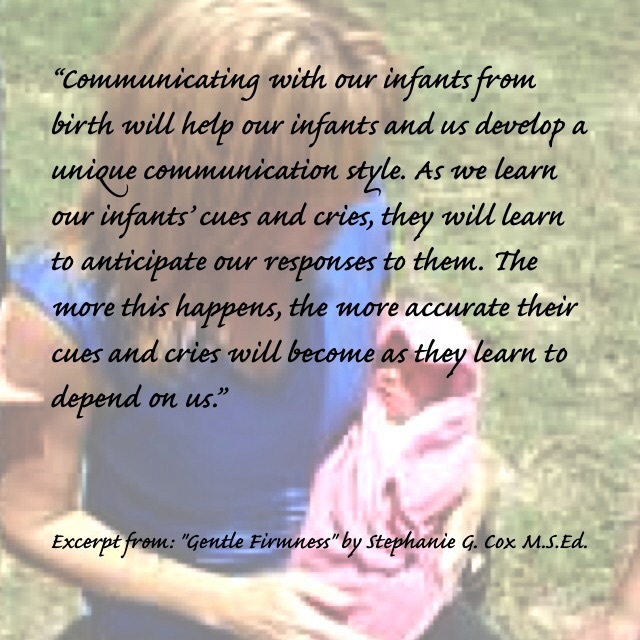 Infants learn to mistrust themselves and their caregivers when their cries are not consistently and respectfully responded to. Just because allowing them to cry “worked” and they appear fine, doesn’t mean damage didn’t occur. As an early childhood professional, I cannot recommend cry-it-out ever. Infants need a response when they cry. A little fussing with our support as they fall asleep is ok, but outright ignoring their cries is not. Dr. Bruce Perry, Dr. William Sears, and many others have done research showing that cry-it-out is extremely harmful. Infants should have consistent bedtime routines such as a warm bath, nursing or bottle feeding, singing, and a book read to them. Children thrive on routines because routines are flexible in order to meet the children’s needs. Schedules are not designed to meet children’s needs. They are more for adult’s convenience. Eating and sleeping should revolve, mostly, around the infants needs. Catching infants before they become over tired can help them fall asleep easier. Also, some families may find safe co-sleeping helpful in nighttime parenting.